Hello and welcome to our website! 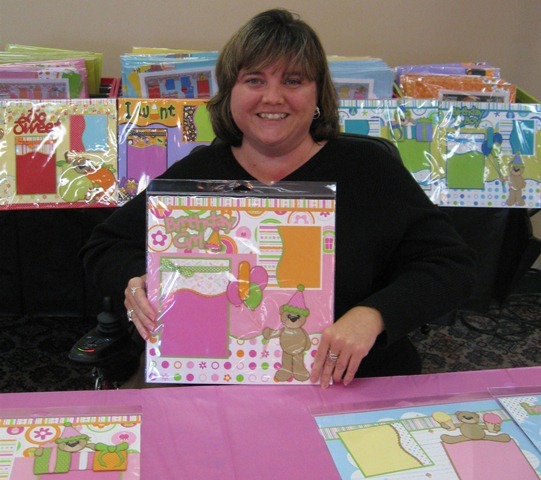 I am Michelle Currie, owner and illustrator for Pink and Main. I have loved all kinds of arts and crafts since my mom taught me to cross-stitch in the third grade. I fell in love with scrapbooking in 1996 and stamping in 1999, and have been hooked since. From early on I knew I wanted to turn my hobby into my career, and I have done a variety of things in the paper crafting industry. I have been designing digital cutting files for the past few years and decided to bring some of my designs to the stamping world. I love illustrating images that bring a smile to you as you create with them. I was born with a type of Muscular Dystrophy and have used a wheelchair to get around since I was twelve. I have never let this stop me from doing the things that I love, and I feel blessed that I can live a creative life. It brings me great joy to give back to the association that has helped me and my family, as well as countless others. That is why a portion of our profits each year will go to the Muscular Dystrophy Association. So, I want to thank each and every one of you for supporting Pink and Main and allowing me to contribute to a cause that is near and dear to me.